On episode 278 of the Tall Can Sports podcast, Matt is joined by Sean McIndoe, better known as Down Goes Brown. Sean has a new book - in stores now - called The Down Goes Brown History of the NHL. Matt asks him about the concept for the book, the horrors of having to try to sit down and record the audiobook version, how his concept differs from other NHL history books and just how he got to a place where he was able to tackle such a project. They also discuss how Sean ended up going head to head with a beloved Maple Leaf alumni, why some versions of the Leafs are more well remembered than others despite similar success and Sean tells one of the funnier stories he came across while researching the book. 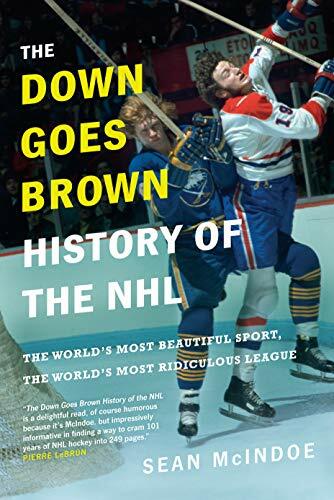 We were real excited to have Sean on the podcast and definitely encourage you to check out the book - The Down Goes Brown History of the NHL in stores and online now.